Japanese food and Ladner. Not something that quite rolls of the tongue. In fact, there is probably no tongue to be found here either... Ox tongue that is... I digress. Okay, Ladner is somewhat of an oddity. Separated from Richmond by an arm of the Fraser river on one side, Burns Bog to the East and farms to the South and West, it is small community isolated from the rest of Delta. Therefore, it is never on anyone's culinary radar. Other than the locals, not many people venture into Ladner for eats. Recently, I had an outstanding meal at La Belle Auberge which would warrant a drive into the community. It's not like there isn't good food to be found here, you just need to know where to look. Maguro Sushi and Taverna Gorgona have been solid eats for me at least. Today, I decided to try one of the newer additions to the limited Japanese food scene in Ladner - Oki Doki Japanese. Yah, it has an odd name and it doesn't necessarily instill confidence. That hasn't stopped me before though! I decided to go for one of their lunch combos and ended up adding an Appetizer Tempura to start. Although the tempura wa s crunchy, the appearance bothered me a bit. The batter seemed unusual and quite oily. Looking past this, the shrimp was okay and so were the veggies. I decided to get the Sushi Combo B which includes 5 pieces of sashimi and a choice of a specialty roll (5 pieces as opposed to the normal size of 8 pieces). I got a Sunomono Salad and Miso Soup to start. The miso soup was miso soup, so I'll talk about the sunomono. 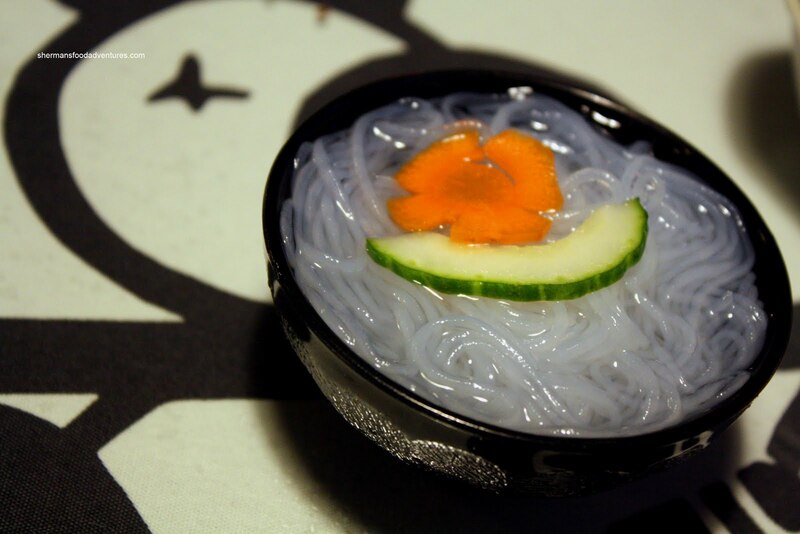 It was quite good with chewy noodles in a perfectly balanced sweet and vinegary "dressing". 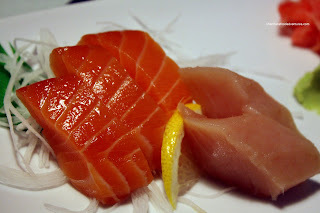 As for the Sashimi, it was fine. Nothing wrong with it and nothing spectacular either. The salmon looked and tasted good. The tuna was alright, kinda bland. For the specialty roll, I choose the Green Dragon which consisted of dynamite roll with roasted eel on the outside. Appearance-wise, the darn thing was not a thing of beauty. Haphazardly made and a bit hard to pick up without pieces falling out. However, the roll itself was tasty. The rice was actually not bad with a nice bite. I could detect vinegar and sweetness in the rice as well, not a lot; but it was there. 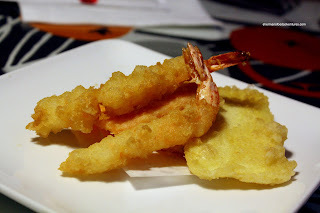 The prawn tempura was not very crunchy and I guess it is forgivable considering the amount of moisture from the other ingredients. 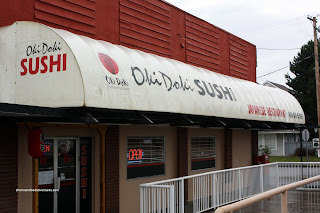 Despite some issues with the food, my visit to Oki Doki can still be considered decent. Although, it is not a stretch to say my standards for sushi in Ladner are kinda low. Service was as good as it could be given that there was only one server. I thought the prices were a bit high; yet I guess this is due to the lack of competition nearby. With that being said, I would still head up the street to Maguro first. OMG, they actually named it Oki Doki ?!? 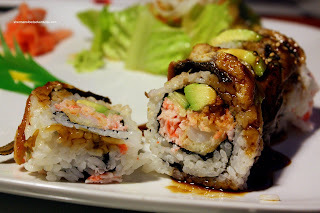 How about a "Pearl Harbor Sushi" ? Kawawa ....... brrrrr, I'm still in therapy over that experience ! LR, yes, that is the name. Go figure! Kawawa... please do not mention that! LOL..
um..i dont really agree with what your saying. I love oki doki. The food is always fresh and their presentation of the rolls are very good. Well, you have your opinion and I have mine. I never said that their food wasn't fresh either. If you look at the picture of the sushi roll, it is not exactly rolled with care. But then again, your experience might have been different than mine. So there is no wrong. If you look at my pictures, I am merely stating my experience.